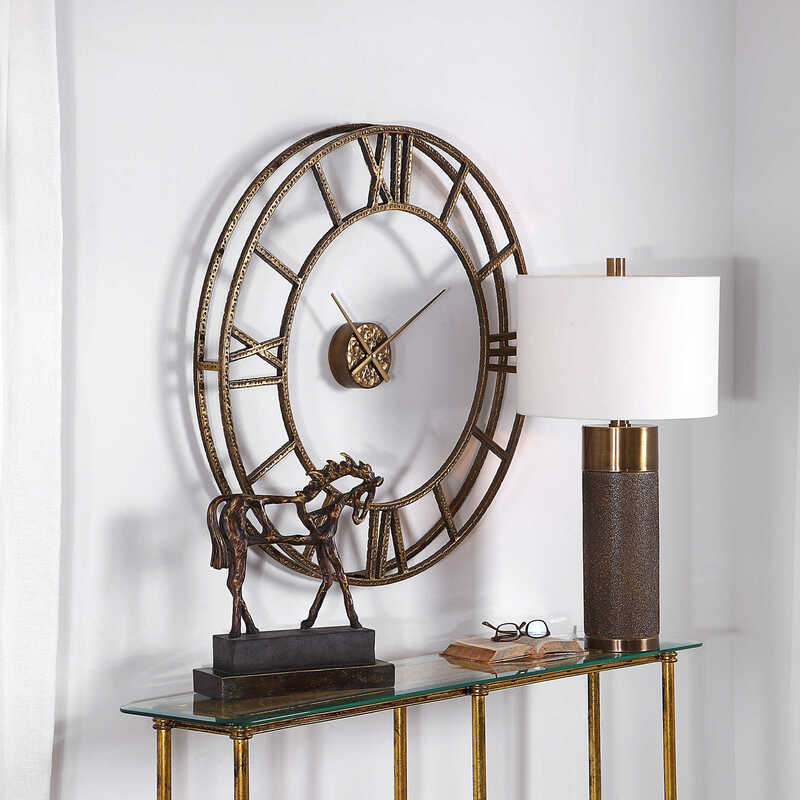 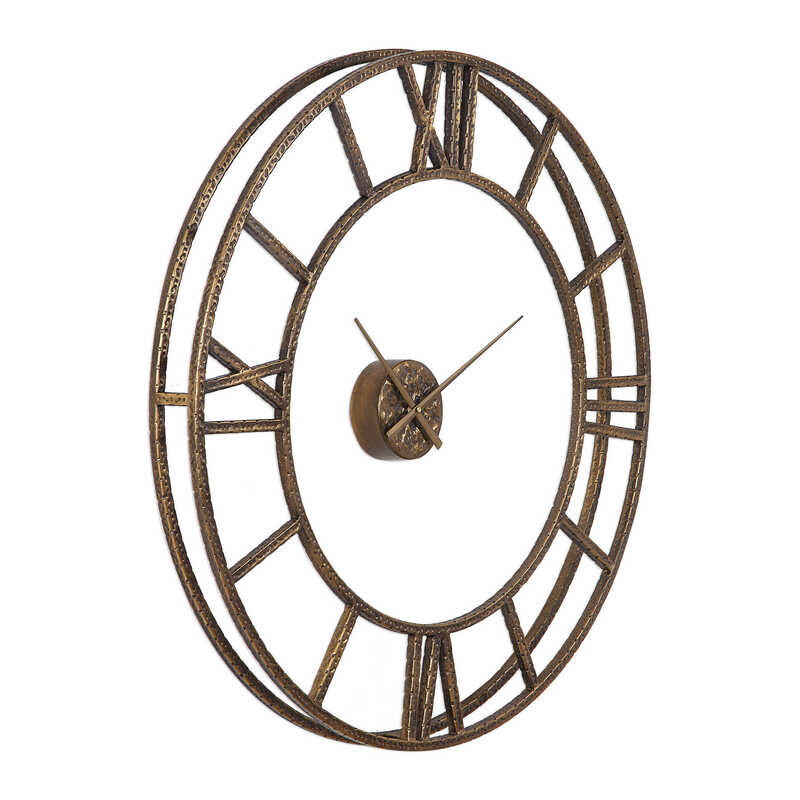 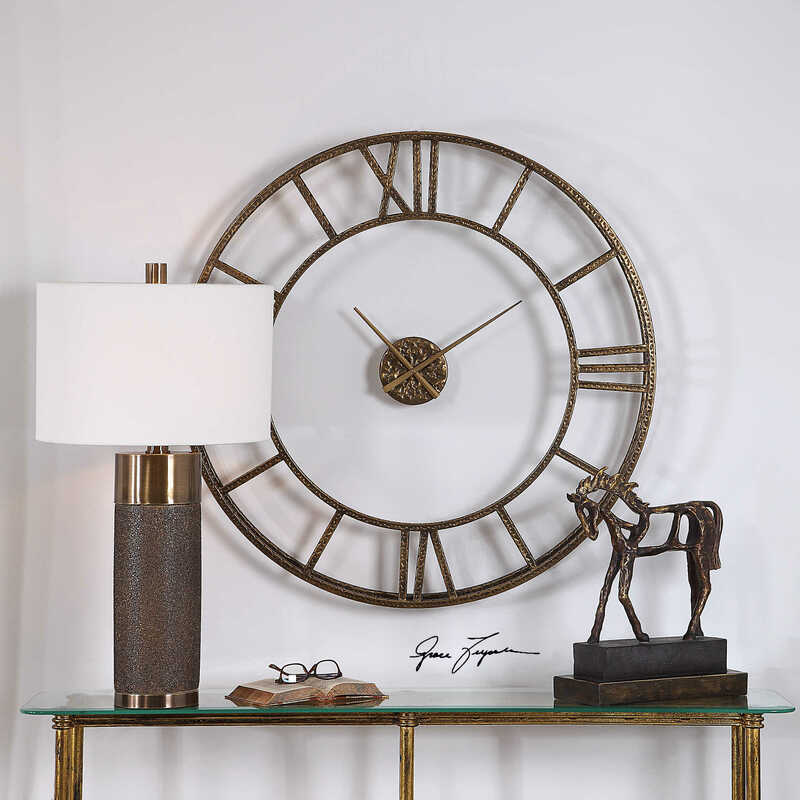 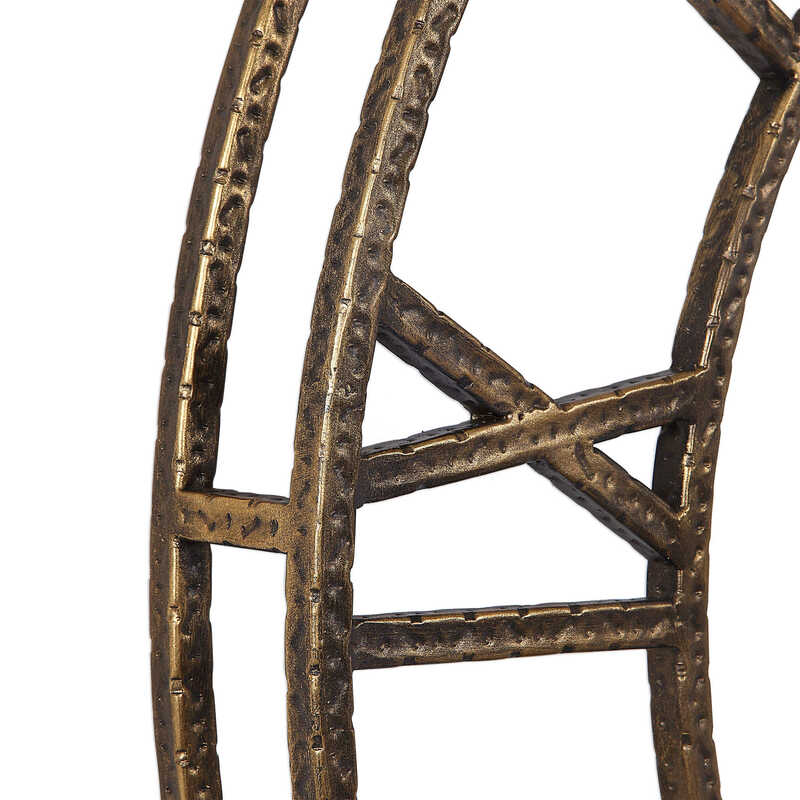 This 3-dimensional, cage-style wall clock features hammered, hand forged iron finished in a heavily antiqued gold with a floating center dial. 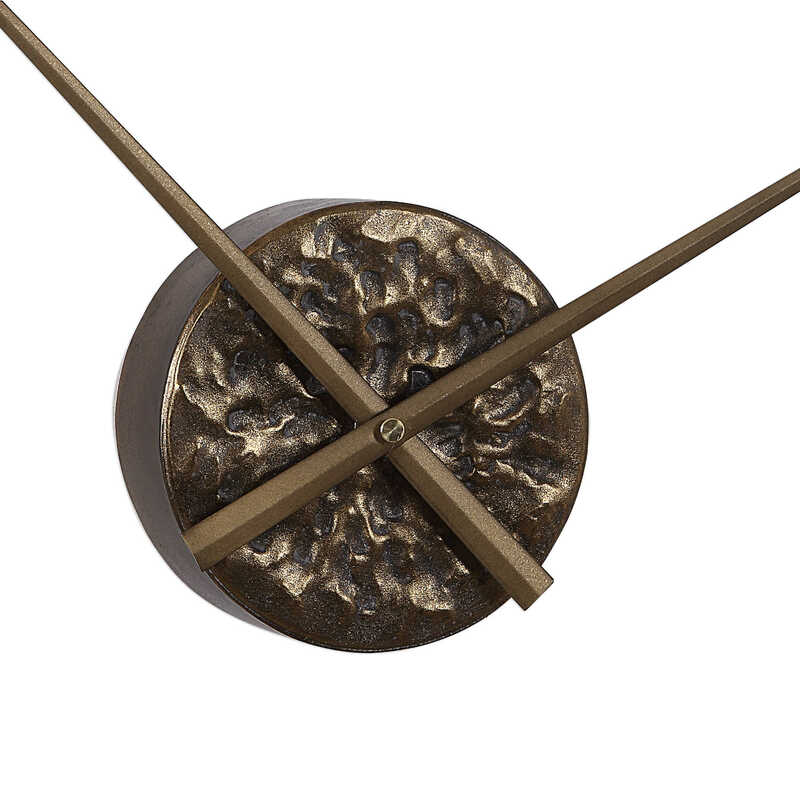 Quartz movement ensures accurate timekeeping. 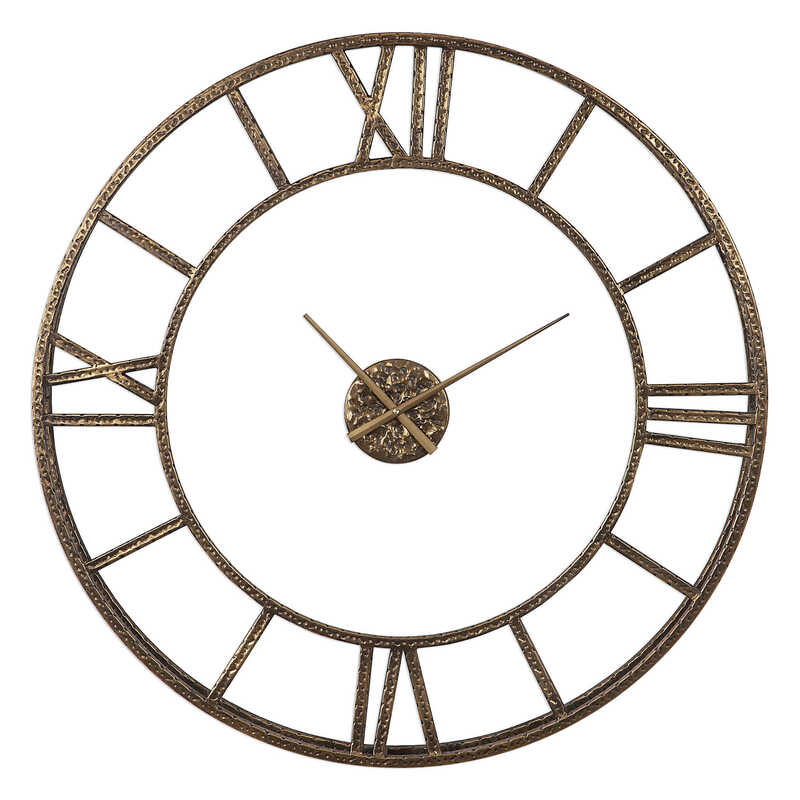 Requires one "AA" battery.